Give your bathroom a new look and feel with this piece from Moen. If you want to renew the look of your bathroom, this dual-control faucet is perfect. This item's deck mounted design completes your bathroom with quick and easy set up. Save water with this WaterSense certified faucet - designed to help keep you and the environment clean with less water use. Give your bathroom a new look and feel with this piece from Moen. Make your bathroom look even fresher with this single-control faucet. Its deck mounted design can be set up with ease on your counter top. 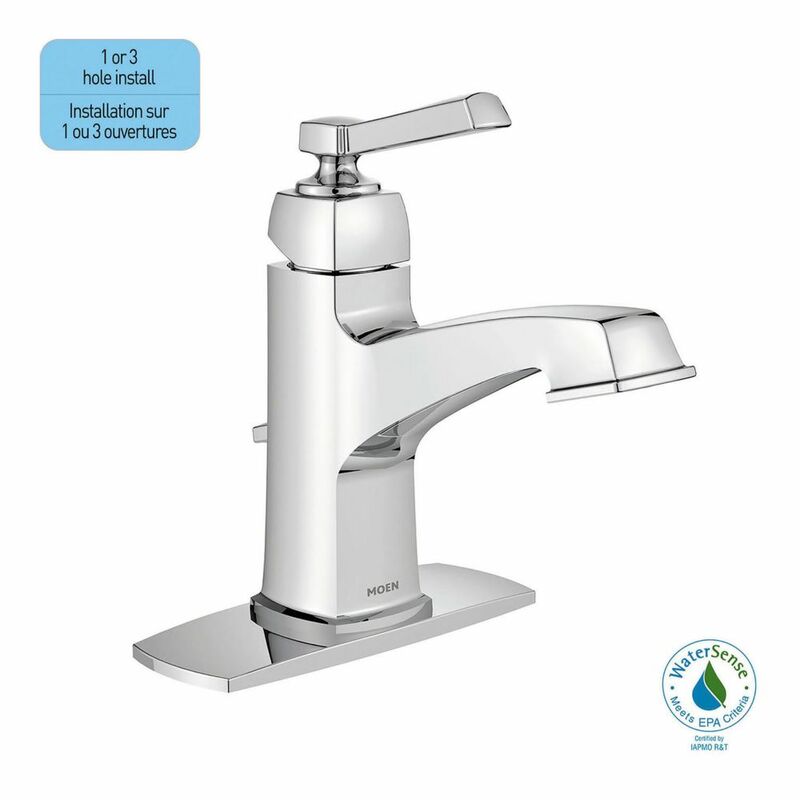 This WaterSense certified faucet helps save water, money, and the environment. Boardwalk 1-Handle Low Arc Bathroom Faucet With Lever Handle In Chrome is rated 5.0 out of 5 by 2. Rated 5 out of 5 by Sanddrifter from Looks great works great Purchased one a few months back and loved it so much I bought another one after doing a bathroom reno and added a second sink. Rated 5 out of 5 by ess W from bathroom faucet Awesome faucet. Great price. Easy to install. Very good water flow and nice height to avoid splashing. Is this available in brushed nickle?